Is Cheese Pizza Kids' Favorite? What kid doesn't like cheese pizza? Heck, with enough cheese, preferably different kinds, I bet we can find just as many adults who would also wolf down a loaded cheese pizza. While cheese pizza is the basic building block for many great pizzas with meats, vegetables, and even fruit toppings, a good cheese pizza has its own place without all the extras. 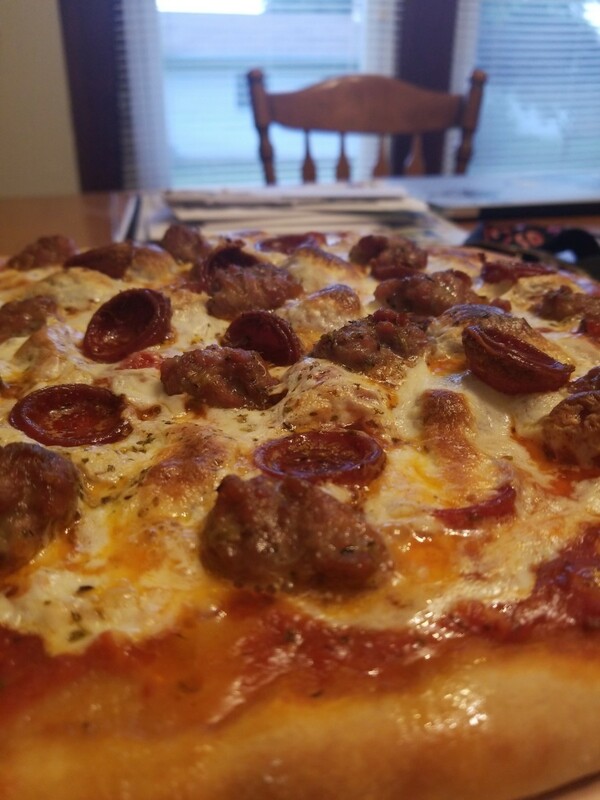 Add an easy, tasty crust, along with homemade sauce almost as easy as opening up a can, and we have a cheese pizza much tastier than any cardboard pizza we might pick up at the local pizza place. Not sure about that? Read on! Get Your Own Rotary Cheese Grater! For this pizza, I decided to use five different cheeses. I evaluated them on flavor, texture, and meltability. (I know that meltability probably is not a word, but you know what I mean!) I came up with five of my favorites. 1) Mozzarella--What pizza is complete without the traditional Mozzarella cheese? In this recipe, I used twice as much of this melty cheese than I did of each of the other four cheeses. 2) Swiss--I absolutely love Swiss cheese, so I had to include it. It melts fairly well and adds a great flavor if not used in too large a combination. 3) Parmesan--This is another good choice for an Italian dish. Don't you just love it when the waiter or waitress in an Italian restaurant comes out with that rotary cheese grater and a wedge of fresh Parmesan? I bought a wedge of this cheese and grated it myself. Freshly grated Parmesan tastes so much better than the powdery grated stuff in the plastic container that you buy and sprinkle. 4) Romano--This is another Italian cheese with great flavor. It has a nice tangy taste to it, so don't use too much of it. 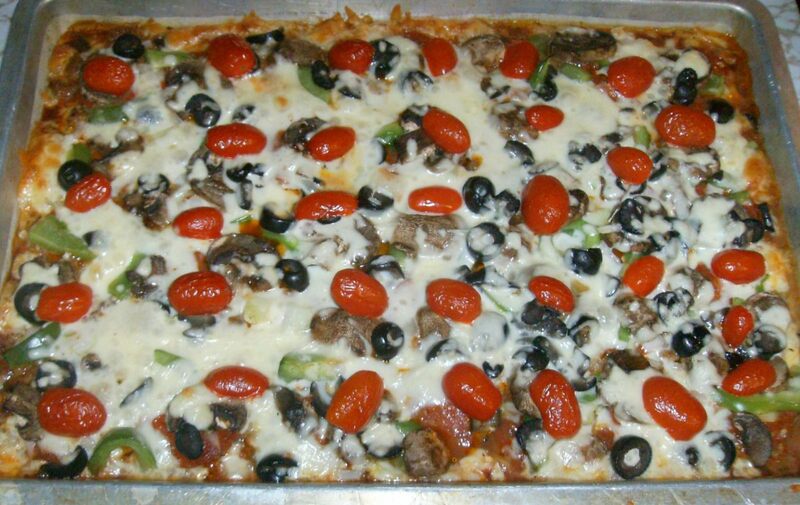 No cheese should overpower the flavor of another in this pizza--unless you want it to! 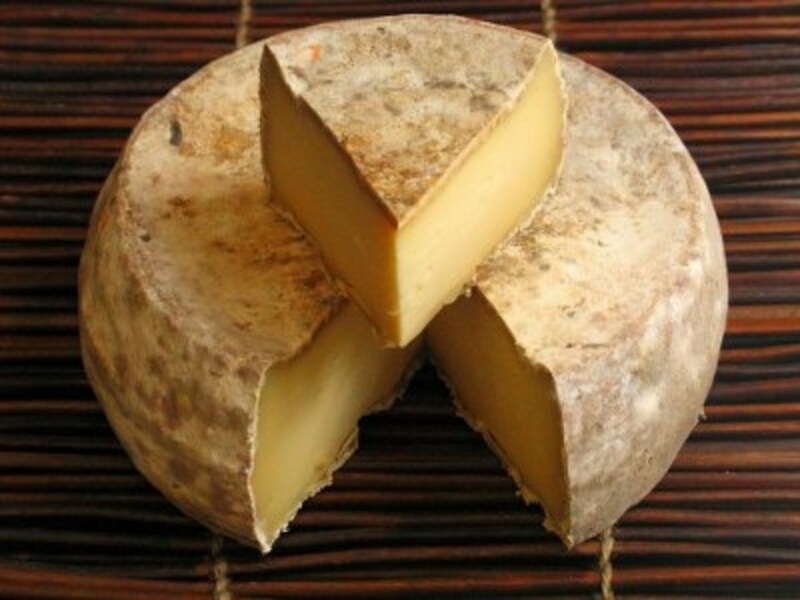 5) Asiago--This cheese is used more with Mexican dishes. It has an addictive flavor, at least for me. I bought a wedge of this one too, and the flavor nearly knocked my socks off. 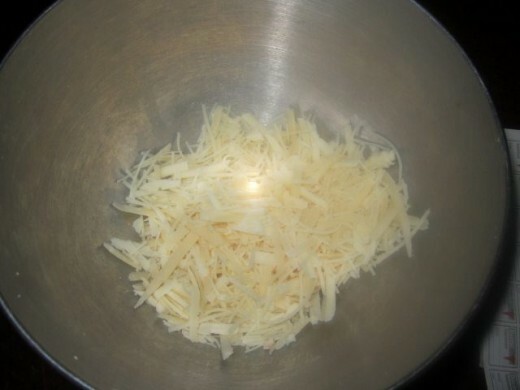 I had bought shredded Asiago in a tub before but never a fresh wedge. It wowed me so completely. It wasn't too strong of a flavor; it was just so delicious that it was hard to stop sampling it. Those are my five cheeses. You could choose others. Cheddar or Monterey Jack, probably more common in your refrigerator, lend their own unique flavors. Provolone is fairly mild and melts well. I love Feta, but I'm not sure how kids feel about its flavor, which could be defined as a bit funky. I have used Feta, but I recommend using a small amount since the flavor can be overpowering. The fun thing about this recipe is that you can pick and choose your cheeses to fit your tastes. Even Velveeta processed cheese spread would work! Get the whole family involved to make this crazy crust supreme pizza with homemade sauce and easy crust. Easy to make, fun to put together. Delicious! Kids cook Monday! Any crust will work, so just choose your favorite or whatever is easy. This time I made a quick crazy crust pizza from my supreme pizza recipe. It requires no kneading and no pre-cooking. The sauce is spread right on top. Then the toppings are added. I also made an easy sauce out of a can of tomato sauce and some spices. However, for purposes of quick and easy, a pre-made pizza sauce works just fine. Prepare pizza crust, according to the type you are using. In the meantime, grate your cheeses if you didn't buy them pre-shredded. 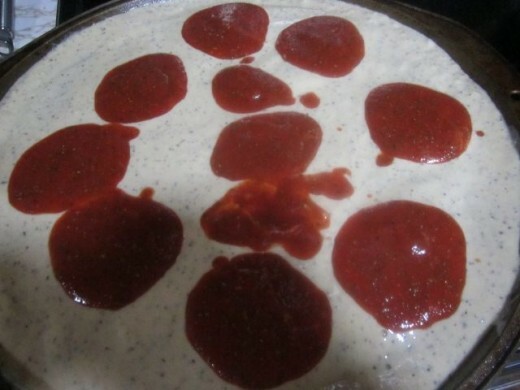 Spread pizza sauce onto crust. 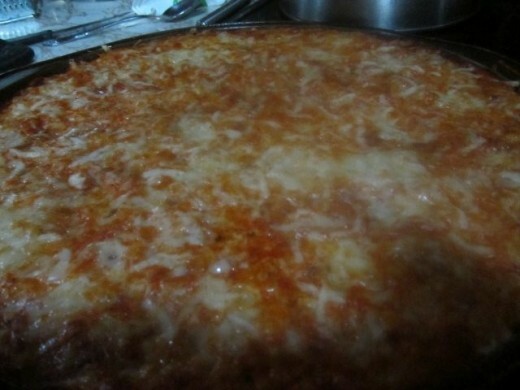 Spread Mozzarella cheese on top of sauce on crust. Mix together in a bowl the four remaining cheeses. Sprinkle this on top of Mozzarella cheese. Bake in preheated 325 degree oven for about 20 minutes. Keep an eye on it so as not to overcook, as ovens vary. Remove from oven when crust has browned lightly and cheeses have melted. 13 Grams of Protein Per Slice! Everybody in the family can help prepare this pizza. 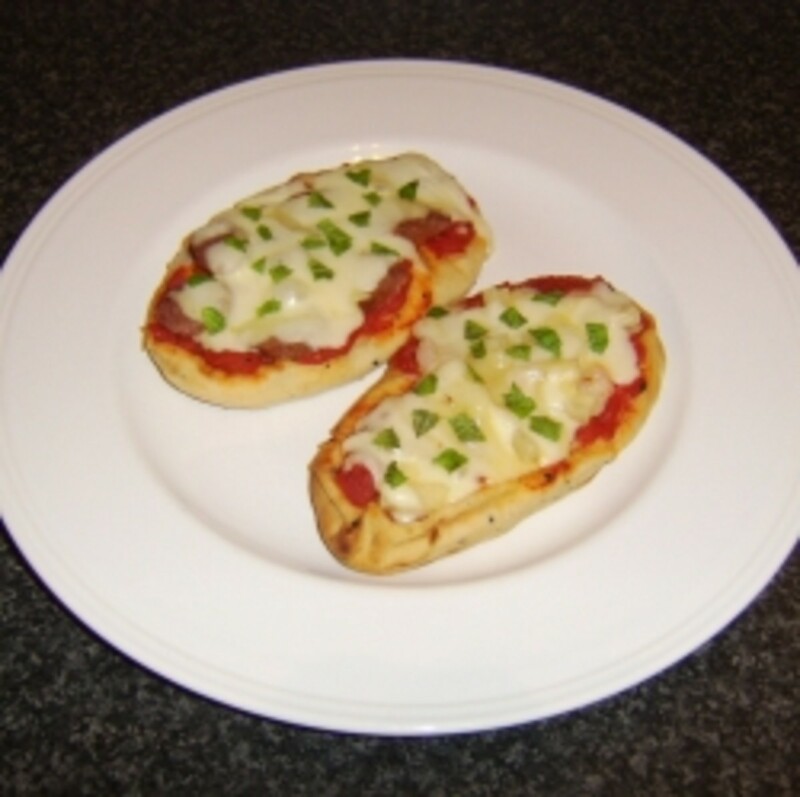 The kids can mix up the pizza dough or spread it out onto the pan if bought pre-made. A child of any age can spread the sauce onto the crust. Older children can help grate the cheese; just watch scraping those knuckles on the grater if doing by hand! Any set of hands--or many--can sprinkle the cheese on top of the sauce. This pizza is really that easy. This is a simple, amazingly tasty cheese pizza, and I didn't even add garlic! I am a garlic lover, but not everyone is as fond of it as I am. If you and your clan like garlic, add a crushed clove or two in your sauce. If you don't have fresh garlic, add a teaspoon of garlic salt. I'm actually thinking about adding even more cheese next time.
. . . and for Dessert . . . .
Do you and/or your family like cheese pizza? It's okay, but we prefer to have other toppings on our pizza. Not really. Give us our pepperoni! unknown spy--ME, too! I love, love, love pizza!!!!! wow pizza. my friends called me a pizza addict.. i just love them. Awesome, molometer! I hope you do try it! 5 stars for this fine 5 cheese pizza. kids cook Monday sounds like a great idea too. Me, too, Teaches! Bring on the cheese--and lots of it! You have made my mouth water! 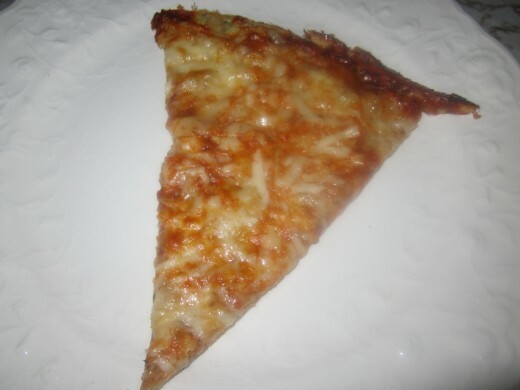 I love just plain old cheese pizza any day -- even cold! Great recipe idea. Vellur--Bring on the cheese!!!! Thanks! carter06--I agree! Adults love it, too--especially with lots of cheese! Cheese more cheese, loved this recipe hub. Delicious and tasty. I'm thinking it's not just kids who love cheese pizza Victoria!! Hi, Brian! I think many cheeses would work. I love cheese! Glad you liked the pictures, too. Thanks! hi Victoria, not heard of Asagio but it may be called something different in the uk. But we often have a 4 cheese pizza which is just great so I think yours with 5 different cheeses will be my idea of heaven. Great idea and loved the pictures. 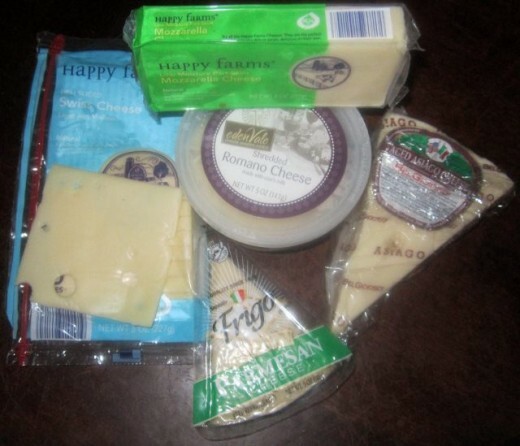 rebecca--I love all the cheeses together. Thanks for voting up and sharing this recipe! Mmmmm. That gooey cheese looks good. You are right. Kids really seem to "dig" just cheese pizza. The 5 cheeses probably really blend together and compliment each other. Thanks for the recipe! Voted up and shared! Jools--Love your photo! Looks like my dog! I actually prefer toppings, too, especially supreme, but every now and then, I crave a good cheese pizza. Thanks for stopping by! Whilst I prefer other toppings on my pizza, I do like the flavour of cheeses other than mozzarella on a pizza. I like the sound of Asagio but I haven't seen it over here -I will look out for it. alissa--I love homemade pizza, too. You could put feta on part of the pizza. I didn't think of that--great idea! Susan, I had never tried the Parmesan block (wedge in my case) before. It was incredible! Me, too, kelley! I have so many recipes yet to try. I love trying new things. Have fun with the cheese pizza! Vee.....OK! I admit I rarely read recipe hubs. My big-time cooking days are over. I no longer am a slave in my own kitchen......so, honestly recipe's aren't on my list of "reading material." Yum I love homemade pizza and your pictures look delicious! I love feta cheese but unfortunately my husband and kids do not. Guess I would have to sneak that in on just a few pieces for myself! Thanks for the great recipe - you now have me craving some cheese pizza! I have to agree with you ... the block of Parmesan cheese does taste so much better. Your five cheese pizza sounds great!